With this release we do not include all the planned functionality, however, the most important options that should include a platform for crypto assets trading are already implemented in this version. In terms of account security, trading and the concept of the user interface, it is a ready product. The main goal of this release is to provide users with the necessary functionality for a decentralized crypto exchange, aimed at a wide range of users. We are very much look forward to receive feedback from our users, so we are waiting for your feedback on the interface, trading features and the functioning of the main gateways. At the current stage, a certain part of the functionality of our site will be limited. For example, there will be a limit on the amount of deposits in the equivalent of 0.05 BTC. At the same time, trading volumes on our site will not be limited. We plan to complete the testing phase of the alpha version within 2-3 months, during which we will actively collect feedback, comments and wishes from all our users, as well as regularly publish updates with new functionality and add new crypto pairs. At the time of launching the alpha version a gateway will be available to enter ERC20 tokens, which will allow investors who invested in DEEX through a smart contract to transfer tokens to their DEEX account. Our development team has already created and successfully tested the gateways for popular cryptocurrencies: Bitcoin, Eth, Litecoin, Dash and several forks the Bitcoin, as well as gateways for KARMA assets, Crypviser and our own DEEX token – to be run alternately, first to enter and trade, and after testing and for automatic output through the gateway. For our community we will separately announce the launch of each new gateway, so the attractiveness of the trading platform will constantly increase. 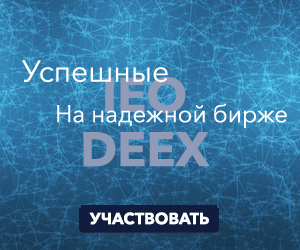 By the time of the end of the current functioning of DEEX we with your help hope to collect an exhaustive pool of suggestions and wishes on the interface concept and functionality, presenting to your attention the version of the platform that will become a fully optimized product. Let’s make BitShares DEX accessible and simple for ordinary users, not just for cryptogeeks! We once again want to thank all our investors! We believe that success awaits for us all. Even prior to the launch of DEEX, the project’s tokens were able to get into the top of the stock assets of the Bitshares ecosystem, the project itself was included in the TOP-10 of most promising ICOs on Russian Blockchain Week conference, that was held this week. During the recent Graphene developer conference in China, DEEX was positively adopted by the international BitShares community. 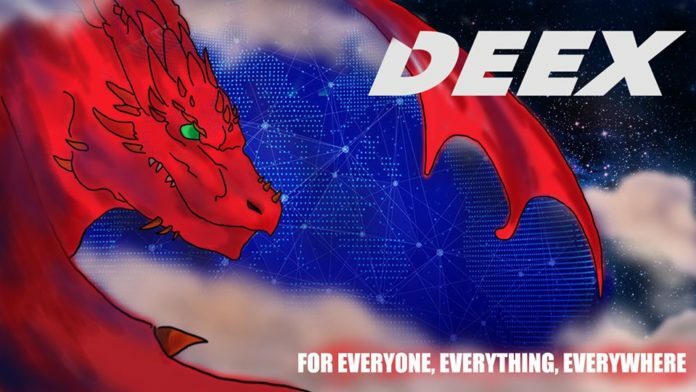 We have done a tremendous job of attracting the attention of the world crypto community to DEEX, the results of which were the appearance of project representatives and opinion leaders in China, Indonesia, Malaysia, Turkey and other strategically important regions for development in the world. Perhaps, that’s why we chose as a symbol of a wise dragon. With its help, we will keep you from financial tremors in the cryptocurrency world doing everything possible to make DEEX your key opening the door to the world of cloudless decentralized financial future.